Craft breweries continue to breathe a breath of fresh air into aging established neighborhoods across the region. It appears this phenomenon could be headed to Fernandina Beach's 8th Street. Many say that to see how a small business can reinvigorate a neighborhood, just follow the barrels. From Great Lakes Brewing in Cleveland to the Brooklyn Brewery in New York, the neighborhoods around them have sprouted to life after their opening. Locally, similar trends continue to engulf the Rail Yard District, Riverside’s King Street, Springfield’s Main Street where several craft breweries have established their roots. Now, eying a former car dealership at 629 South 8th Street, Michael Oliveri intends to open the second craft brewery in Fernandina Beach. Originally a Lasserre-Ford dealership in 1954, this property and others in the immediate area are representative of an era when South 8th Street replaced Historic Fernandina Beach’s Centre Street as the city’s premier commercial corridor during the mid-20th century. In the decades that would follow, modern commercial development would spread to Sadler Road and SR 200 in Yulee, leaving South 8th Street as an ideal setting for the adaptive reuse of mid-century properties that integrate traditional walkability with automobile access and accommodation. 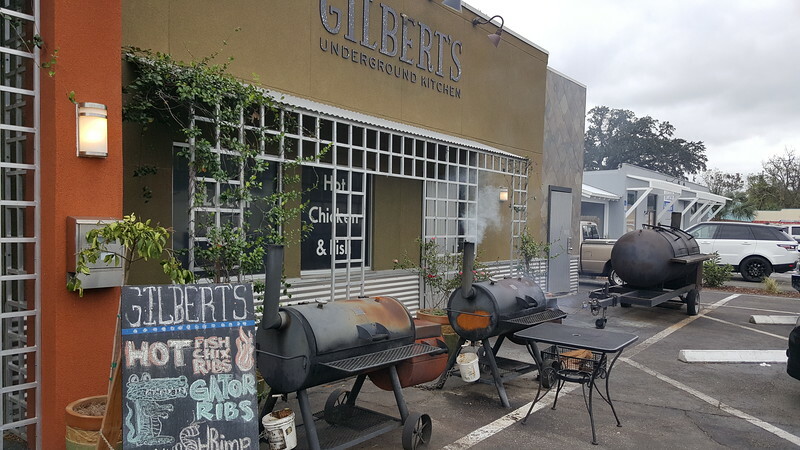 Gilbert’s Underground Kitchen is representative of a new business along Fernandina Beach’s South 8th Street corridor. Because of this, urban pioneers and small business owners, like Oliveria, have the opportunity to assist in reinvigorating an area long forgotten by major retailers and commercial chains. 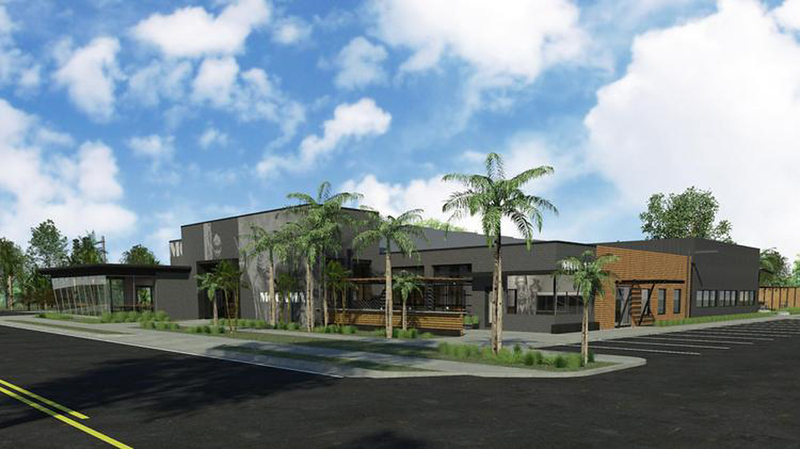 According to plans recently submitted to the St. Johns River Water Management District for review, Oliveria intends to redevelop the two-story building into the Mocama Brewing Company. Conceptual plans illustrate a 16,217-square-foot brewery featuring a brewhouse and cellar room, a coffee bar, tasting areas, a barrel room, and cooler space on the ground level with office space and a conference room upstairs. The rest of the property would consist of a 300-square-foot outdoor patio, a courtyard and 40 parking spaces. An additional 38 parking spaces would be constructed on a parcel across Gum Street at 700 South 7th Street. It is anticipated that the Mocama Brewing Company could open in early 2019. When complete, Mocama will become the third craft brewery to open in Nassau County. Fernandina Beach’s first craft brewery, Amelia Tavern Restaurant & Brewpub, opened its doors in 2016 and is located on historic Centre Street. Additionally, in August 2018, Shaun and JoAnn Stewart opened the SJ Brewing Company along State Road 200 in Yulee. Visit https://www.mocama.com/ for more information and updates on the status of Mocama Brewing Company.